Here’s another yacht that has unfortunately remained for sale for some time. Her current asking price is $15 million, $20 million less than originally desired. Perhaps her pirate-theme interior and exterior are just too much for most buyers to swallow. 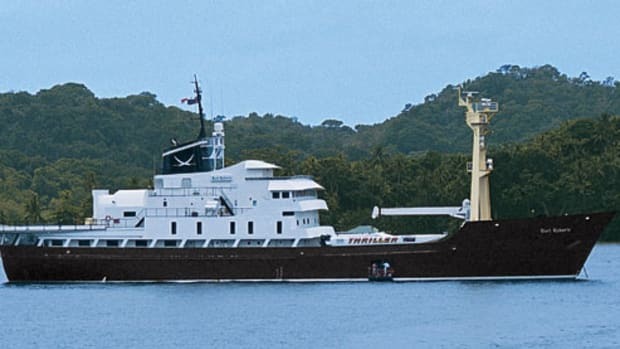 It took a little more than a year to transform her from a Canadian Coast Guard vessel to an expedition-style yacht complete with a brass-cannon mantle, a 400-gallon piranha tank (also containing a faux rusted bollard for the fish to swim around), and staterooms named for famous buccaneers such as Capt. Kidd, Howell Davis, and Black Bart himself, each with custom portraits. 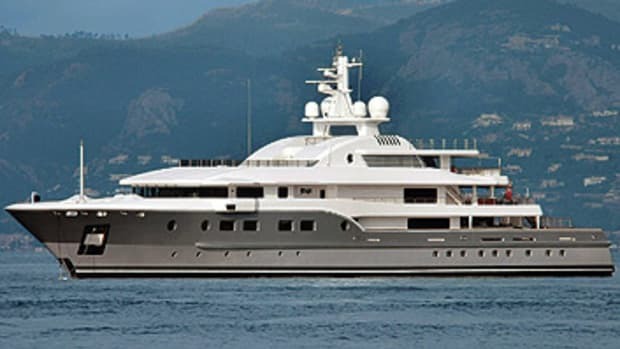 If you want a look at her, you can charter her in the South Pacific for $350,000 per week through the winter.